I mentioned recently that we have done some rearranging of how rooms function in our home. 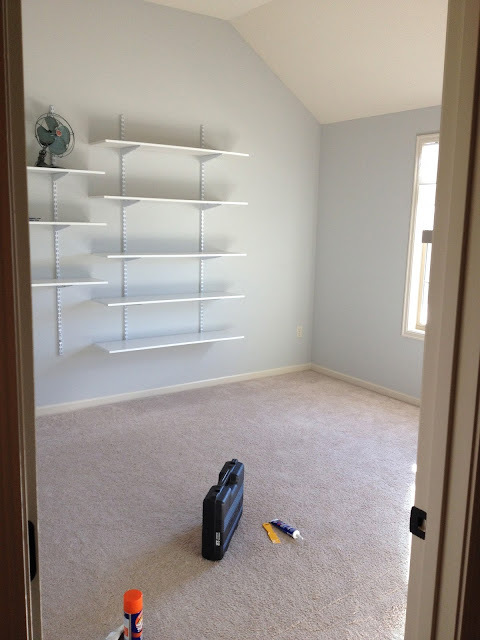 A friend of mine inquired about the shelves we had up in the old toy room. I realized I never blogged about the shelves we installed soon after moving in. 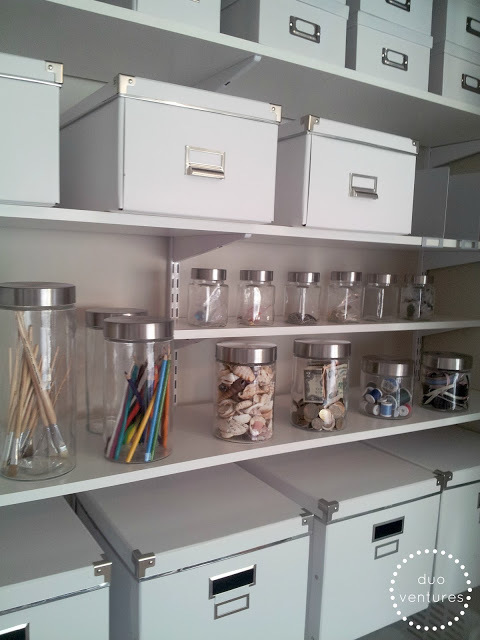 This shelving system is from Home Depot and they were easy to install, inexpensive, and worked very well in our space. We had two sets, side by side, along a large wall of our toy room. We used the shelves for bins and smaller toys to get them up off the ground. The higher shelves displayed some of Drew's lego creations and are great for board game storage. 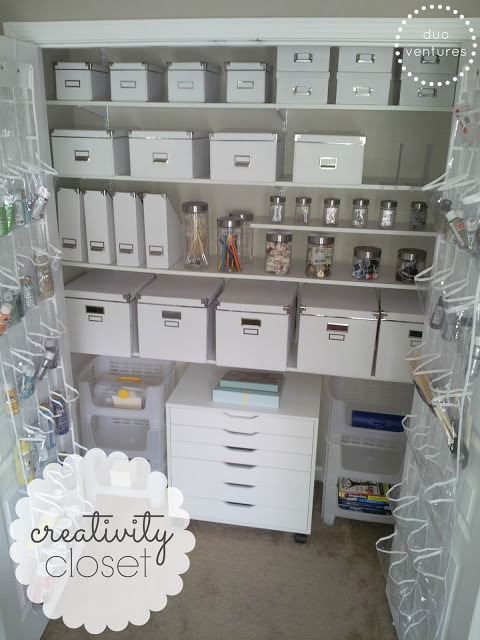 Having vertical storage was a huge space/floor saver! The shelves are already white, and you can customize with different sizes to fit your needs. These are not hard to install, but you must make sure everything is level so you don't have leaning shelves! I would highly recommend these if you need any extra storage in an office, desk space (they have larger pieces that could serve as a homework station), toy room, closet, etc. 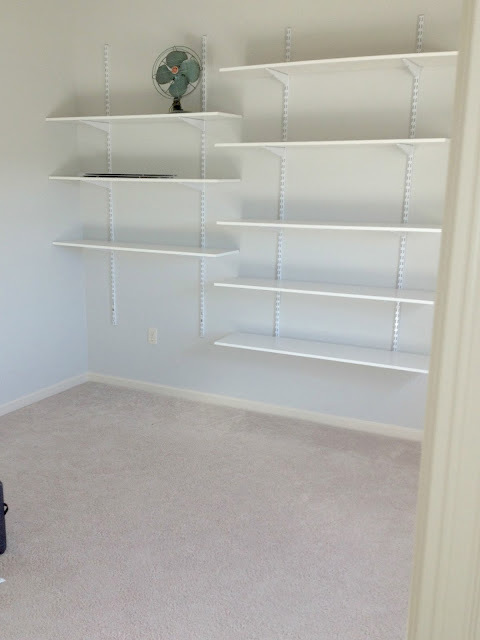 See below how Duo Ventures has made these shelves look super clean, chic, and organized! We are currently trying to figure out where these shelves can best be utilized now that they are out of the toy room. Maybe in the new office space downstairs or extra closet storage? I will keep you posted! Thanks for the post! I was just re-thinking toy storage/organization and these shelves may just do the trick! I love how they don't take up floor space!